Everyone knows that the folks who work at the counters of our local businesses can make or break a customer's experience. It can be easy to take their work for granted between "the customer is always right" and everyone in this city being busy, busy, busy - but they're an essential aspect of our everyday lives, especially in a community like Bushwick! Last week Insta-Takeover photographer Pavel Ezrohi reminded us to take a moment and appreciate their efforts. 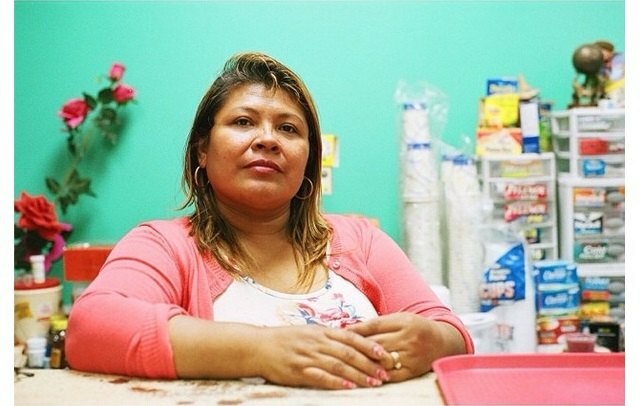 He set out to photograph portraits of the people behind the counters of bodegas, restaurants, coffee shops, laundromats, bakeries, etc. and the result is truly charming. Pavel is a photographer and video director, whose photo work is all analog, mostly 35 mm. He finds a lot to photograph around his homebase in Brooklyn. The medium was a perfect tool to showcase the lovely faces of the people who keep our local businesses running smoothly. Upon finishing his Insta-Takeover, I asked if he learned anything throughout the week and he told me, "I don't know if I learned anything exactly, but I did remember a lot - I remembered how much I like being a part of the place I live. I think I'd lost that a little bit the last couple of years." And that is exactly what this project is all about. Getting to know and appreciate your neighbors and remembering why we love this community. Scroll down for some of Pavel's portraits and head over to our Instagram page for the rest. They're awesome. This week's Insta-Takeover: Jenny Mortsell says, "Eventually I'll be there." Wanna be the next Insta-Takeover photographer? Just fill out our schmancy application HERE!